The Great Pyramid of Giza is one of the best examples of ancient energy machines. It was a Tesla-like power plant created thousands of years ago. It was a huge ancient structure that was capable of using the Earth’s natural properties in order to create or produce a great amount of energy. This energy is believed to have been used by the ancient Egyptians and other cultures such as the ancient Maya and other cultures around the globe for millennia. This theory, however, has been firmly rejected by mainstream researchers. If we approach the history of ancient civilizations from another perspective, we will encounter that ancient civilizations around the globe were, in fact, extremely sophisticated and used advanced technologies thousands of years before mainstream science ‘reinvented them’. 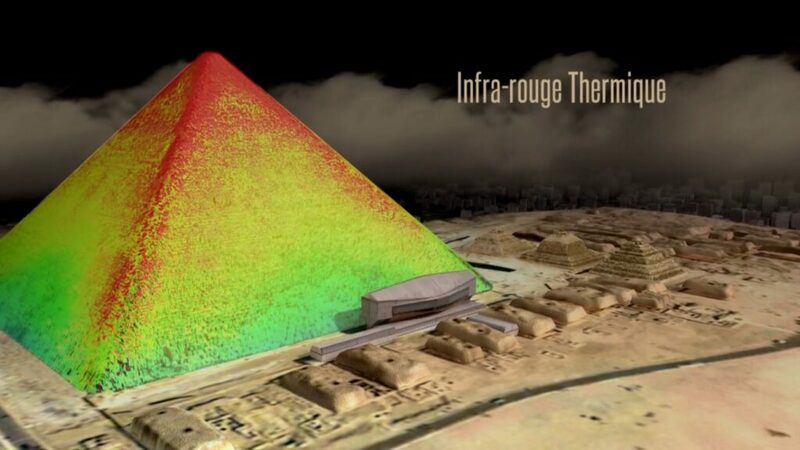 Is it possible that the Great Pyramid of Giza was built as a giant power plant? The idea that civilizations around the world have evolved from a primitive state, towards a more advanced one is something that mainstream scholars have tried to implement and place as the ultimate truth inside our society, schools and history books. However, this is not the case as numerous researchers around the globe suggest. In fact, ancient civilizations were far more advanced than we believe. Looking at the historical references that can be found in numerous ancient civilizations around the globe, we will find numerous patterns and details that tell a different story than the one being imposed by mainstream scholars. These advanced technologies were present in ancient Egypt, Ancient Sumer, and in North, Central and South America. Electricity, electrochemistry, electromagnetic technology, metallurgy, advanced engineering, including hydrogeology, chemistry, physics and advanced forms of mathematics and astronomy were all used thousands of years ago to great extents. Many researchers agree that in the distant past, electricity was widely utilized in the land of the Pharaohs, with the Baghdad battery being one of the best examples of such advanced technology. Mainstream schools, however, do not agree. But by examining the careful history and details left behind by the ancient Egyptians, a different truth is immediately revealed where we can see that sophisticated illumination techniques were used during the construction of Pyramids and other buildings in ancient Egypt. While mainstream scholars firmly disagree with the notion that ancient Egyptians used electricity to light up ancient buildings, many believe that there is enough evidence to support this notion. Intricate carvings demonstrate that the ancient Egyptians utilized what appear to be handheld torches that were not lit up by fire, and were as many believe, powered by means of wireless electricity, thousands of years ago. But these mysterious torches were not the only example in ancient Egypt. It is believed that the ancient lighthouse in Alexandria was powered by an ‘Arc lamp,’ and is another crucial piece of evidence suggesting that electricity was used in Ancient Egypt thousands of years ago. But, the electricity required to power such incredible structures on a daily basis could only have been provided by a regular ‘huge’ electrical source. This is why, many people believe that the Great Pyramid of Giza, whose purpose remains a mystery, is believed to have been used in the distant past, as some sort of giant energy machine, used to power numerous devices across Egypt. The Great Pyramid of Giza is considered an ancient masterpiece of engineering and architecture and one of the best –if not best– examples of ancient construction. While the idea that the Great Pyramid of Egypt were used as giant power plant generating free, wireless energy, is firmly rejected by mainstream scholars, this theory could explain numerous enigmas about the Pyramid itself and the sophisticated society that settled at the Nile River thousands of years ago. Interestingly, the outer casing of the Great Pyramid of Giza was covered by ‘white tufa limestone,’ put together in such a way that nothing could fit in between the stones. It is noteworthy to mention that the ‘white tufa limestone’ used in the outer casing of the Great Pyramid of Giza does not contain magnesium and has very high insulating properties. It is believed that this sophisticated insulation property allowed the ancient Egyptians to fully control the release of energy from within the Pyramid. In addition, to the outer casing, the stone blocks used in the inner parts of the Great Pyramid were made from another form of limestone, which contains small amounts of crystals and metals which are believed to be two important properties that allowed maximum power transmission. Even more interestingly is the fact that the shafts built inside the Great pyramid were made of granite, and is a slightly radioactive substance permitting the ionization of the air inside the air shafts of the Great Pyramid, similar characteristics can be found in a conductive insulating cable. The chambers built within the Great Pyramid of Giza are considered as granite conductors implemented in the design, charged with ‘physio-electricity.’ This means that given the material and specific construction of the Great Pyramid of Giza, the electromagnetic field that forms at the very bottom of the Pyramid is transmitted towards the upper layers of the pyramid. It is believed that in the distant past, a device of excellent electric conductivity was located on the top of the pyramid, where today an empty space remains the only evidence of a pyramid that in the past, looked very different. Interestingly, traces of this long-lost ancient technology were rediscovered in the 1900’s by the great Nikola Tesla. Located at the Wardenclyffe tower he built between 1901 and 1917; Tesla applied a nearly identical form of this ancient technology, used in Egypt over 4000 years ago. Tesla’s tower was also believed to have been built upon aquifers, which means that the electric technology used by Tesla is nearly identical to that applied in the construction of the Great Pyramid. Both the Great Pyramid of Giza and Tesla’s magnificent Wardenclyffe tower were systems that generated negative ions and were capable of transmitting them without the need for electric cables, a completely free and wireless energy that powered other electrical components through vast distances. But it appears that the Ancient Egyptians were not the only ones to have understood the benefits of this ancient technology.